Marriage Night is one way for couples to dedicate time to focus on what God has for their marriage. 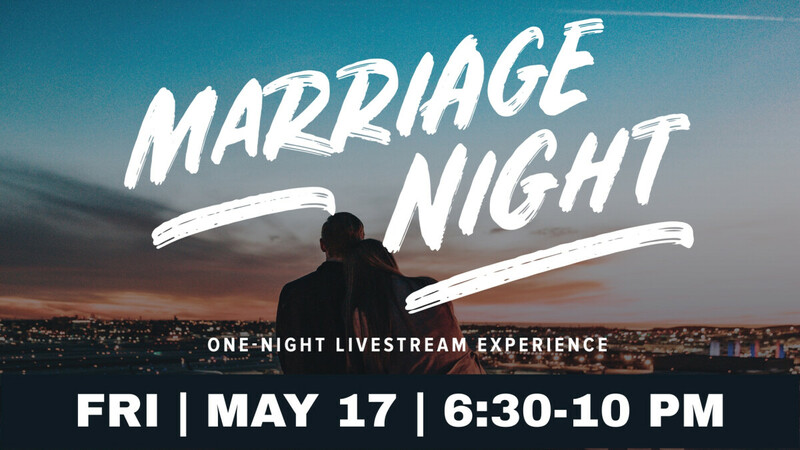 It’s a one-night livestream event packed with laughter and lessons you can apply immediately to your own marriage. We’ll join thousands of couples in churches around the country to learn from marriage experts how to honor God in your marriage. Go to marriagenight.org for more. Register below for $15 per person which includes dessert and coffee. Sign up for Marriage Night! Hillcrest Covenant Church, 8801 Nall Ave., Prairie Village. Doors open at 6:30 PM and event starts at 6:45 PM. Childcare is not available for this event. Childcare reimbursement info is available at the time of the event.